While Plymouth manufactured munitions and military engines during the war, stylists like A. B. “Buzz” Grisinger, John Chika, and Herb Weissinger worked on postwar ideas when­ever they could. Typical of Chrysler thinking at the time, these involved smooth, flush-fender bodies with thin door pillars and wraparound grilles. 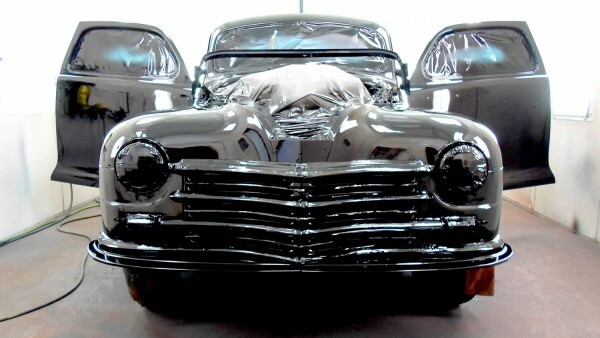 We had a terrific time restoring the body of this american icon for the owner in Harrisburg PA.